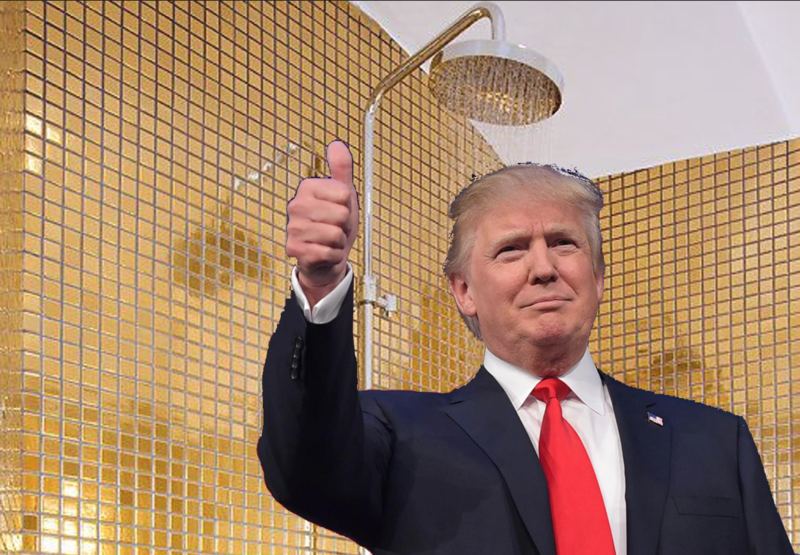 Trump partook in “golden showers” in Russia with prostitutes on a bed Obama once slept on… Russia then blackmailed Trump, not by asking for money or influence in his business deals, but by forcing him to run for president against all odds and win? ** Obama has a meeting in Russia. ** Trump flies to Russia, finds out the hotel room Obama stayed in, and books it. ** Trump finds at least two hookers and invites them to Obama’s former hotel suite. ** Trump instructs the hookers to PISS ON THE BED because he hates Obama so much. ** Little did Trump know Putin had the entire room outfitted with video cameras. ** The Russian government now has video proof of Trump watching hookers PISS on a bed. ** Russian government tells Trump they will release the video if he does not run for president. ** Trump runs for president and against all odds and WINS the White House. And no one questioned this report? As The Gateway Pundit reported the original story was created by 4Chan user. On Wednesday morning Donald Trump responded to the latest CIA leaks and Fake News report. Russia just said the unverified report paid for by political opponents is “A COMPLETE AND TOTAL FABRICATION, UTTER NONSENSE.” Very unfair! Finally Trump compared the latest fake news report to something put out by a propagandist in Nazi Germany!